Planimeter - GPS area measure. All kinds of measurements (area, distance, angle) on Google Maps with many useful features including Tracking and Drawing. Demo. SolarMeter - GPS solar measure. Allows you to calculate and estimate solar power and energy output of a solar cell panel at specific location. Features Live Measurement Mode where device screen simulates solar panel surface. LaserDistanceMeter is a camera distance measure tool for quick estimation of distances to known size objects. Features image processing for one click measurements. Calibration and How To Measure. Millimeter - screen ruler. Useful app for quick measurements. Use touch screen as a ruler to measure, to split objects into equal parts, measure object ratio (W/H), area, estimate diameter and angles, split circular objects into equal parts. Can be used as a Thread pitch gauge (TPI and Pitch). Partometer - camera measure. A tool for size, angle, area, circle measurements on pictures/photos. Extends applications of your camera. How To Measure. Partometer3D - camera measure. Camera tool for size, angle, area, measurements in any defined plane in 3D. 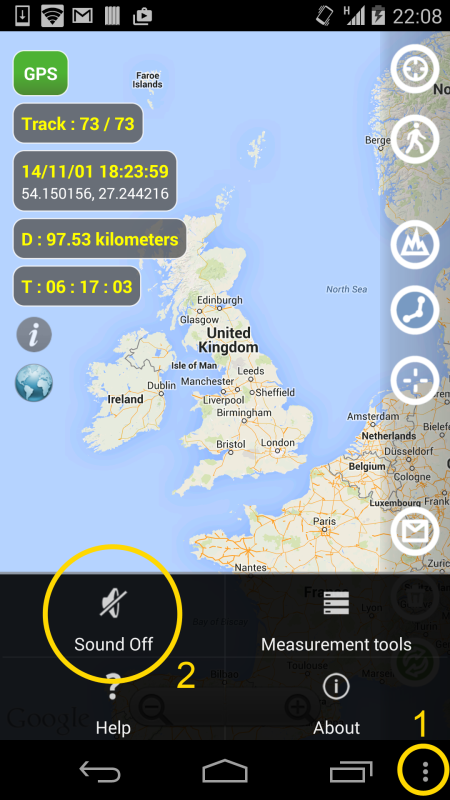 MapTrack - GPS real time track. Record and share your tracks in real time without registration on third-party services. Your friends can follow you in usual Internet browser. Demo. Telemeter - camera measure. 5 measurement tools in one app. Pupil Distance (PD) Meter - Manual and automatic PD measurement using Android camera. Planimeter - GPS area measure. All kinds of measurements (area, distance, angle) on Maps with many useful features including Tracking and Drawing. How To Measure Area. Partometer - camera measure tool for measuring on pictures/photos. Extends applications of your camera to size, angle, area, circle measurements. Demo. Pupil Distance (PD) Meter - uses a camera and a known size reference object to measure pupillary distance (PD). Millimeter - screen ruler for iPhone and iPad. Useful app for quick measurements. Use touch screen as a ruler to measure, to split objects into equal parts, measure object ratio (W/H), area, estimate diameter and angles, split circular objects into equal parts. Can be used as a Thread pitch gauge (TPI and Pitch). Millimeter App - ruler for Visa or Passport biometric photo. Photo is an essential part of your visa or passport application and it usually has certain size and format requirements. "Millimeter - screen ruler" is a handy tool to ensure your photo meets all the size requirements. 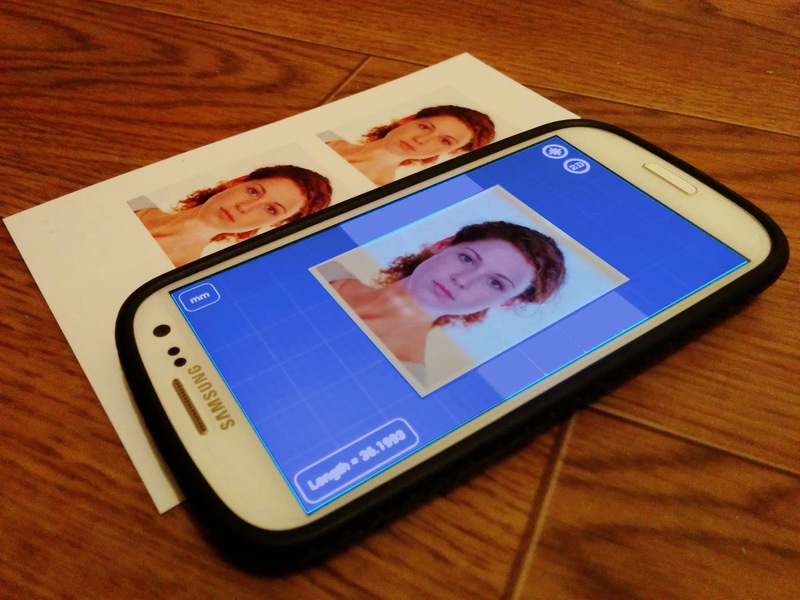 With this app you can check not only width and height of the photo but also measure exact size of the head and other parts of the photo that are crucial for the acceptance. Tip: if you put brightness of the display to max you will be able to see measurement lines underneath your photo for better alignment and accurate results (see picture). 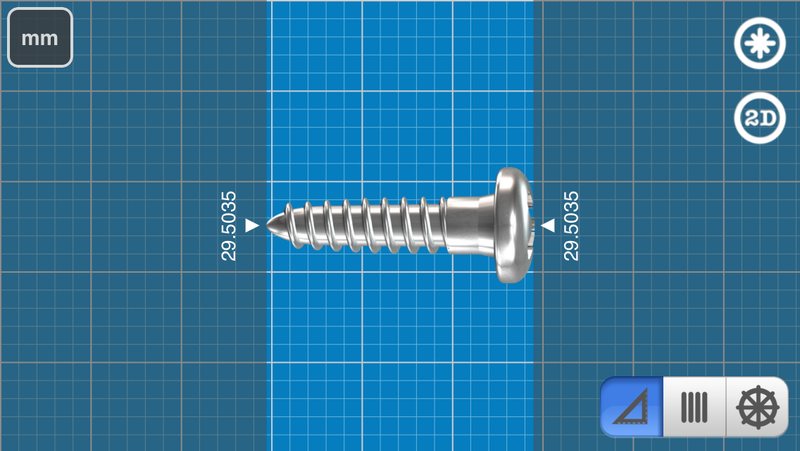 iOS version of "Millimeter - screen ruler" updated with iPhone 6 and iPhone 6+ support. Latest "Millimeter - screen ruler" update v1.1.5 adds iPhone 6 and iPhone 6 Plus support. MapTrack - real time GPS tracking. How to call option menu and turn sound off. Option Menu in MapTrack app contains option to turn sound off. You can call Option Menu using a dedicated button on your device or using a virtual button as shown under #1 on the picture (Nexus 5, KitKat 4.4).